When taking photographs, you pay attention to composition in the viewfinder. When it's time to print those photos, however, the full image may not be what appears on the print paper, depending on the size you choose. The reason for this is that the ratio of the paper's width to height may not match the ratio of the viewfinder's width to height. As a result, a portion of the captured image may be cropped out when it is printed on paper. To further complicate matters, a 5x7 print does not use the same crop as an 8x10, and neither is the same as a 4x6. In order to ensure your photo prints come out the way you intended when you took the picture, it's important to understand how cropping works in relation to standard print sizes. Many digital camera viewfinders display images with a roughly 3:2 ratio, which means the width of the viewfinder is 1.5 times as wide as the height. This is the reason 4x6 has become such a popular print size. It has a 3:2 width-to-height ratio when the paper is viewed in the landscape, or horizontal, orientation (2:3 in the portrait, or vertical, orientation). This standard ratio is a hold-over from the days of film. A single frame of 35mm film has a ratio of 3:2. Since this was the most popular film among consumers, digital camera makers naturally chose it when technology began to switch. When you look through a viewfinder, the 3:2 ratio is the approximate size you see and use to compose your pictures. However, the ratios are not the same for all standard print sizes and that means your image must be cropped in some instances. A 4x6 print is considered "full-frame" for a standard digital photo. 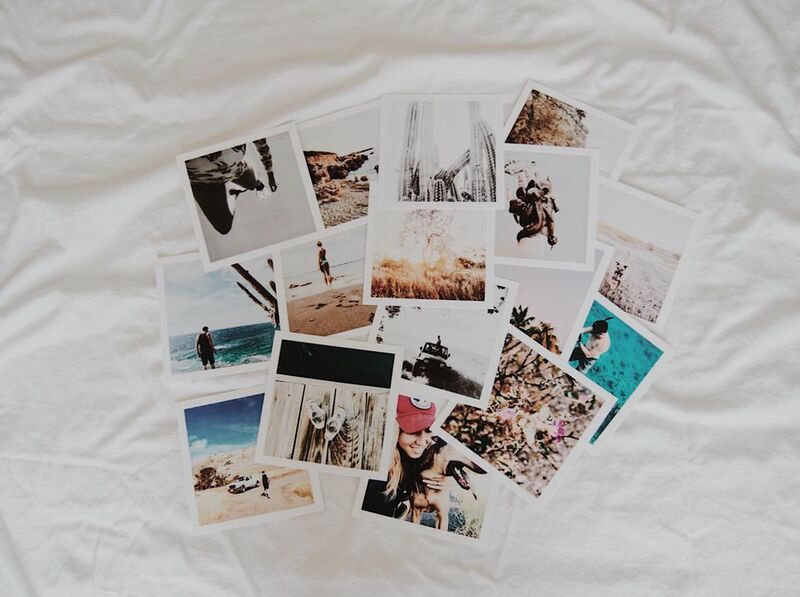 When you print an image to 5x7 or 8x10 size, for instance, the ratios are different than the ratio of the 4x6 format. Prints at the 5x7 size have a 3.5:2.5 ratio. The long side is 1.4 times as wide as the height and your photo will be cropped slightly on the longest side. Prints at the 8x10 size have a 5:4 ratio. The long side is 1.25 times as wide as the height. Your photo will be cropped significantly—almost twice that of a 5x7—on the longest side. When comparing print sizes, thinking in terms of the width multiplication factor is helpful. With the 5x7 example, the multiplication factor is 1.4—the difference between the width and height. Photo paper can be printed in either a portrait or landscape orientation, though. Because of this, it's best to ignore the proper orientation for an individual photo. Instead, use the longest side of the paper as the width and the shortest side as the height when comparing prints with the viewfinder. If your camera has a viewfinder with a 3:2 ratio of width to height, you should be able to print the entire uncropped image on 4x6 paper or 20x30 paper because they have the same multiplication factor. That assumes, however, that the camera's aspect ratio matches its viewfinder ratio. Professional photographers will often tell you that the best way to deal with these different proportions is to "shoot wide." That means that you want to capture more of the scene than you think you need to allow for cropping in the final print. This will help you retain the most important part of your image. This does not, however, mean that you need to zoom out so your subject is small in the frame. That will only make you crop in more and, if you go too far, it can become pixelated in the print because of diminished image quality. Instead, concentrate on the center of your frame when looking in the viewfinder. The long sides are where any cropping will occur in most prints. The 8x10, 11x14, 16x20, and 20x24 (anything with a multiplication factor near 1.2) will crop the most from the sides. If you want the most versatile photograph for any size, capture the image with this crop in mind. The one exception among the popular print sizes listed is the 10x20. This print format will actually crop on the short sides, resulting in more of a panoramic-style of print that is long and narrow. Visualizing a crop in-camera takes some getting used to. If you'd like to see how different prints will crop, open an unedited photo in your photo editing program and play around with the crop. Adobe Photoshop, for instance, has a cropping tool that allows you to set specific dimensions for your desired crop. Set this at 8x10, then take note of how much image area you're losing on the sides. That will give you a visual reference to use in the viewfinder whenever you're composing a photo in the future. The aspect ratio of an image—the entire actual image the camera captures—in a digital camera also has a proportional relationship. That aspect ratio is not always the same as the viewfinder ratio. Usually, the aspect ratio is slightly larger. This means that the captured image will include a little more of the scene than you were seeing in the viewfinder. That can work to your advantage when printing the image to paper because you have more to work with. However, it's not enough of a difference if important things are near the edges of your frame. Unless you want to spend a lot of time comparing your camera's aspect ratio, viewfinder ratio, and paper sizes, the suggestion to capture slightly more image than you need is still the best advice.